Join Us for a Fall Succulents and Pumpkin Workshop! 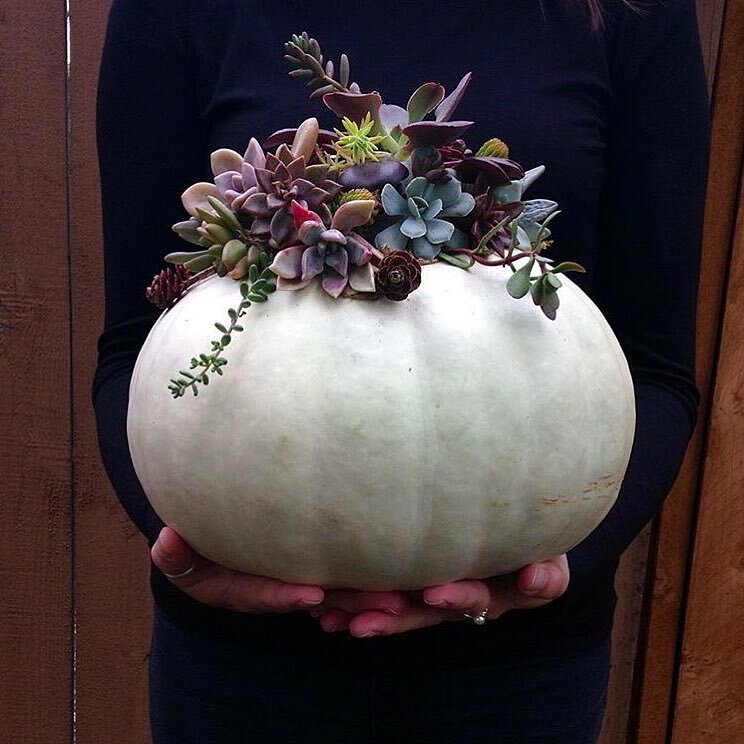 Join us for a 60-90 minute Fall Succulents and Pumpkin workshop! You will create a beautiful fall centerpiece using succulents and a large pumpkin that will last for months. And when the pumpkin finally gives up the ghost, the succulents can be easily removed for planting! Local succulent expert, Jennie from Jade & Co., will lead you through the project from start to finish, providing inspiration and information all about succulents and how to use them to create magical pieces of art! Light refreshments and a glass of vino will be provided. *Note: There is a 5 person minimum requirement for this class to proceed. If we do not reach 5 participants we will unfortunately have to cancel the class and refund you in full 48 hours before the scheduled workshop.